This year, the month of Elul begins sundown on the 11th August and finishes at sundown on the 9th of September. Elul is a 29 day period before Rosh Hashanah and most of us carry an idea that Elul should be a month that includes introspection. For most of us, Elul often passes by without us noticing or doing anything special. During the month of Elul, synagogue attendees hear the daily shofar blasts and extra prayers (called selichot), but this doesn’t seem to apply to most women. Without some structure, it is easy to forget that Elul is an introspective opportunity. To help us, I created a 29 day Elul Introspection Experience. There’s a reflective prompt for you to consider each day of Elul. I used the “wheel of life” idea (this is a coaching tool that I use with clients) to create categories. These categories are one way of describing the parts of our life: health, work, friendship, family, money, joy, spirituality and love. 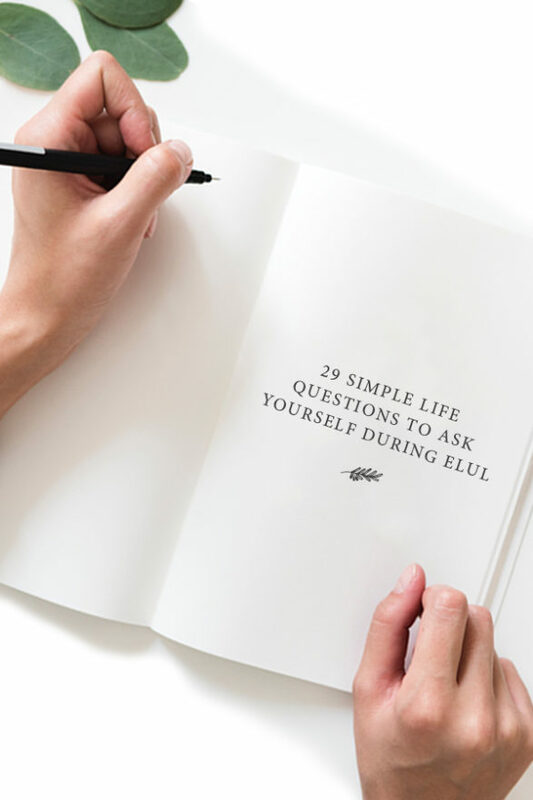 Here are the 29 reflective prompts to support you during Elul. Previous What’s In Your Pantry, Helene Abiola?